The type approval certificate confirms, that the XL2-TA (in combination with the M2230 measurement microphone and the ASD Cable) offers full compliance with the class 1 sound level meter requirements in accordance with the standards IEC 61672 and IEC 61260. 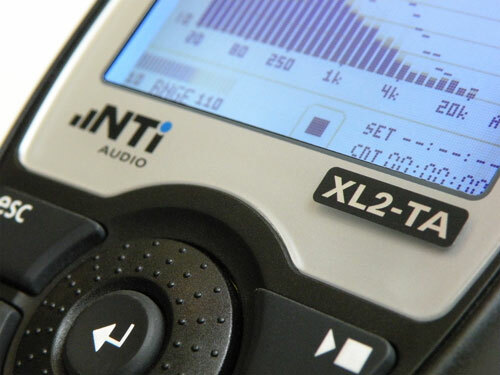 The XL2-TA offers certified spectral measurements in octave and third-octave resolution. Philipp Schwizer, CEO of NTi Audio AG, comments: "The METAS type approval is another important milestone for XL2 users in Switzerland as it confirms the already-perceived value of the XL2 – being among the most precise Acoustic Analyzers worldwide." The M2230 Measurement Microphone connects with the ASD Cable to the XL2-TA, thus forming the configuration for sound level measurements with class 1 accuracy. The configuration, with the microphone detached from the XL2-TA, allows the user to monitor the level readings on the instrument display, while class 1 measurements are carried out. The NTi Audio Precision Calibrator completes the portable measurement kit offered in the compact system case. The XL2-TA Sound Level Meter is formed by adding the Type Approval Option to any XL2 Analyzer. All customers may upgrade their XL2 Analyzers to a type approved XL2-TA by installing the Type Approval Option and the certified firmware V2.52. Contact your local NTi Audio partner for the upgrade.